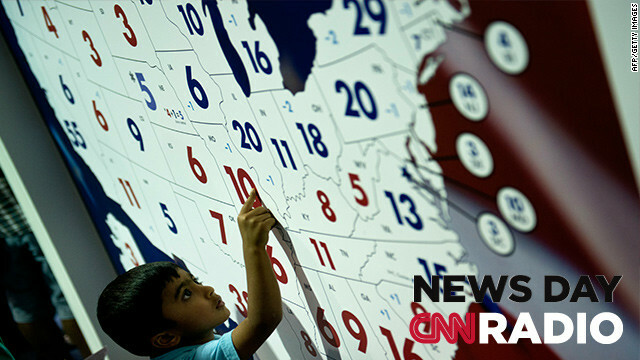 A boy points to Missouri on CSPAN's 2012 US Presidential election electoral map. “It had no new material in it... This was in fact, just an old-fashioned pep rally". At a small chess tournament in New York this week, 17 Rochelle Ballantyne moved closer to her goal of becoming the first female African-American chess master in history. (CNN) – Rochelle Ballantyne plays chess the same way she walks through the streets of New York, determined to reach her goal without letting any obstacles slow her down. 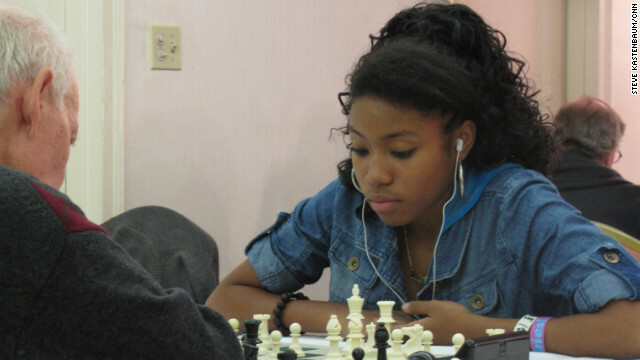 The 17 year old from Brooklyn is just a few wins away from becoming the first female African-American to attain the ranking of chess master. [:47] "I've never been the first anything so having that title next to my name is going to... it's going to feel amazing." She crushes her opponents in a sport dominated by men. (CNN) - 72 years ago, when John F. Kennedy was just 23, he was visiting Minnesota with his parents and was invited on to a local radio show. You’ll hear what he said about his aspirations – in his own voice – on this CNN Profile. 50 years ago this month, during the Cuban Missile Crisis, President Kennedy in the Oval Office, calmly questioned his generals and other advisors about his military and diplomatic options. The generals pushed for military action. With the very real possibility of a full scale nuclear war, you’ll hear how Kennedy handled himself. And you’ll hear the generals’ infuriated reaction when Kennedy left the room and the tape was still rolling. When JFK was alone, recording his thoughts about a critical mistake he believed he made on Vietnam, you’ll hear him make an amazing transition from President to Parent, when his toddler John Jr. suddenly walks into the room. 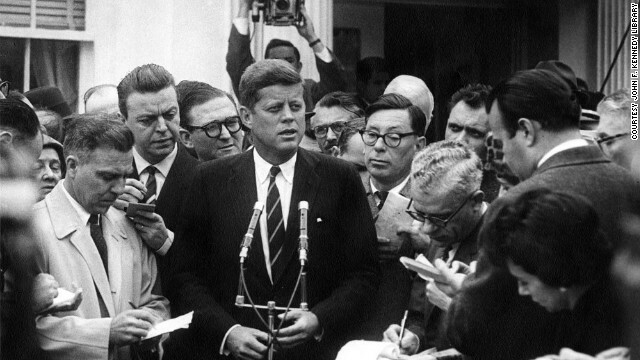 JFK didn’t always keep his cool, as you’ll hear when he learned the U.S. hockey team was pounced by Sweden. You will hear a lot of JFK’s voice in this CNN Profile – from tapes that had been collecting dust for many decades, until our guest, historian Ted Widmer, was given access, to sort through them and select audio highlights of JFK’s life in the Oval Office. You’ll even hear a campaign song. Whatever happened to those? Editor's Note: Listen to the complete story above and join the conversation below.